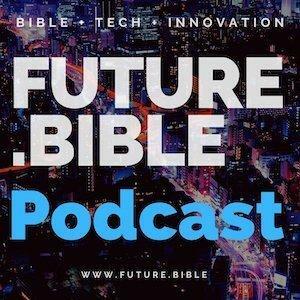 Check out a recent episode of Future.Bible podcast, where our host Kenny Jhang talks with the creators of Harmony.Bible! In this informative episode, Greg Troxell and Fr. Rob Eaton share the vision behind the cooperative ministry of Harmony Bible, whose mission is to help prepare disciple-making disciples. Many of the resources on Harmony.Bible (almost all are shared for free of charge) emphasize the Harmony of the Gospels, which is a term describing the overlap of the Gospels as it refers to Jesus’ life. The Harmony of the Gospels Index organizes the Gospel text into five phases to emphasize transitions in Jesus’ life and ministry which highlight key principles for ministry. The scriptures paint a picture of Jesus’ life, taking stories from all the Gospel authors. Check out the podcast today and learn more about Harmony.Bible. Also, don’t forget to subscribe to the Future.Bible podcast onApple Podcasts,Stitcher Radio,Google Play,Spotify,TuneIn, RSS Feed, and you’ll be the first to hear profiles of individuals and Bible-inspired organizations making a difference in the digital world. Leave a comment and tell us where you get your podcasts! For a limited time, get your next website for 50% off! Register today.